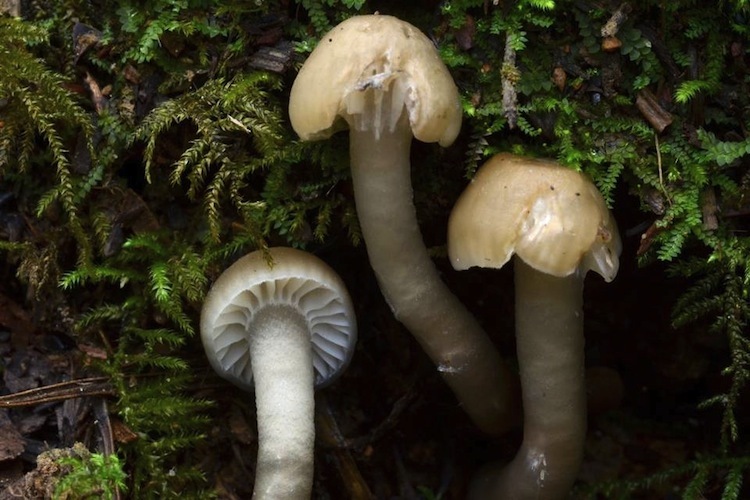 Gliophorus is an unfamiliar name to many, but the mushrooms it refers to are some of the most familiar and well-loved in our area. 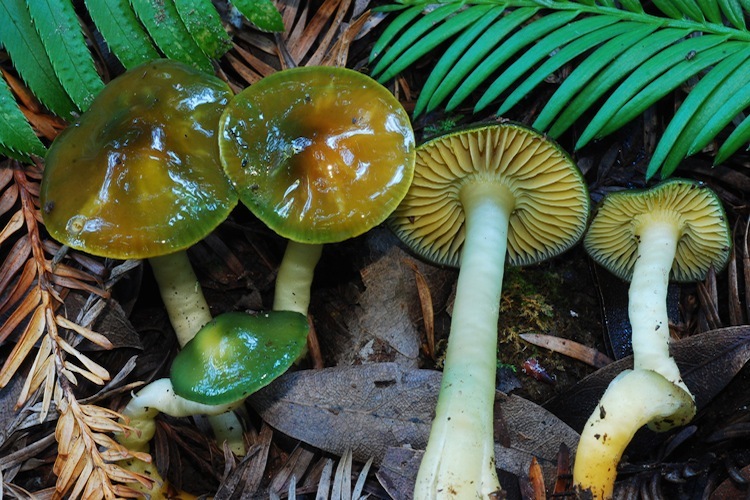 The fruitbodies tend to be small, very brightly colored, and very slimy on both the cap and stipe surface. The “Parrot” is the commonest character in this genus in our area, but plenty of others occur in CA, and indeed, around the world. 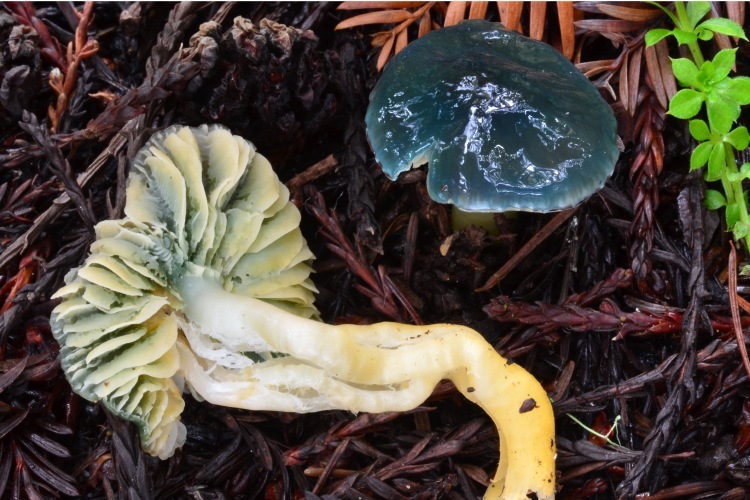 Long thought to be saprobes decaying forest duff, the work of Seitzman et al (2010) suggests that they are more likely to be in association with as-yet unidentified partners, likely algae or other bryophytes. Only a handful of species occur in our area, many either going by European names or undescribed. 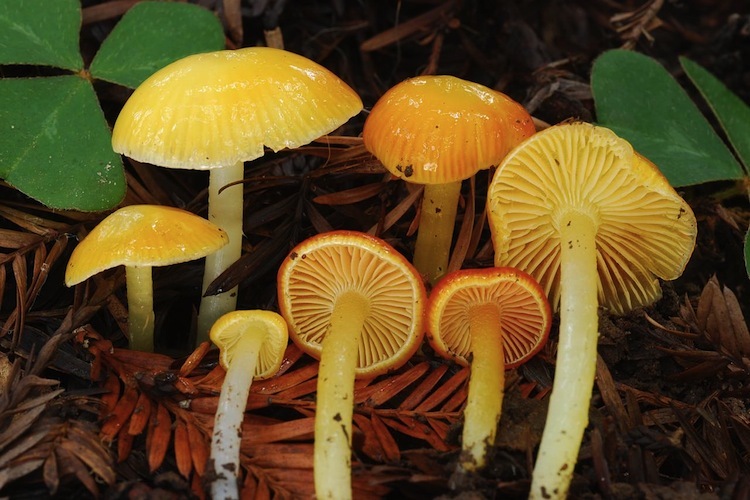 Diversity is highest under Coast Redwood and Monterey Cypress duff, often fruiting in dark, wet microhabitats. 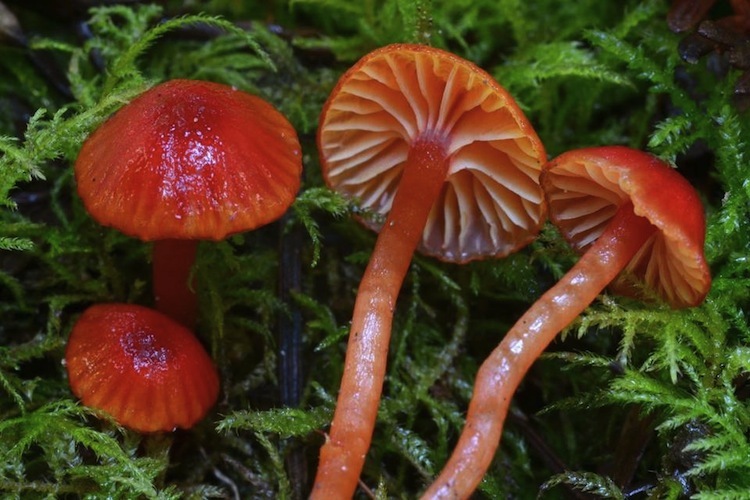 Identification is largely dependent on details of coloration, but also size and subtle textural differences.